Amopé is coming to a city near you! Starting in April and ending in June the Amopé Beauty Boutique will travel to 11 cities and will offer you a chance to kick up your feet and get sandal season-ready. The boutique will feature complimentary five-minute partial manicures and pedicures with the Amopé range of foot and nail care products. 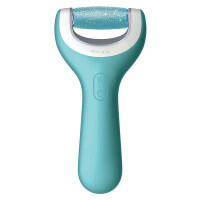 You’ll also be able to try our newest innovation, the Amopé Pedi Perfect Wet & Dry™ Rechargeable Foot File, the first Amopé product to work on both wet & dry skin. Afterwards, to show off your beautiful results, you will have the opportunity to participate in a professional photo shoot and then share your photos on your social channels. You can also check out #doyouamope to track the conversation! Scroll down to see when our beauty boutique will be near you. Stay tuned for June dates!